I was in the dogs for over fifteen years, and decided it was to time to get out. 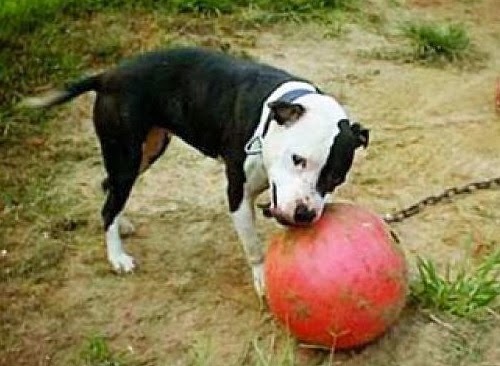 The reason being, that there were too many new people who acted like dogfighting was legal. They were careless and didn’t care who they got into trouble. No matter how small a match was, everyone would know about it. The new laws were passed, and there was plenty of negative news on television and in me newspapers. I am out of the dogs but I still miss the conventions and the matches. I will never forget all the good people that I have met. To name a few, Ozzie Stevens, Buns, Ziggy, Fowlers, Wm. Gable, L. Combs, and Big Brad. 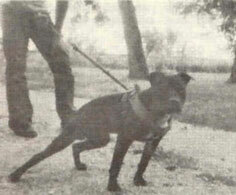 I have seen many of the old famous dogs, I considered BULLYSON the best combat dog I have ever seen. I was there when Bert Clouse matched his old SIR dog into BULLYSON. He said before hand that SIR was a defensive fighter and could wear down the hard-driving, fast-fighting BULLYSON. But when they met in the pit, it didn’t go as he planned as BULLYSON had Clouse’ s dog curled in a ball and was killing him in short order. BULLYSON scratched to win in twenty-two minutes, that was the best I had ever seen. 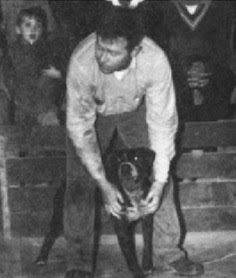 I had also seen the old ELI dog fight in Mississippi, but I was not impressed with him, he could not compare with BULLYSON. BULLYSON would fight wide open, not thinking to save any energy for later in case he needed it. ART was the opposite, he would pace himself. He would rope-a-dope his opponent, and just lull around until the other dog left himself open. Then like lightning, ART would shoot into the shoulder and stifles, doing serious damage. 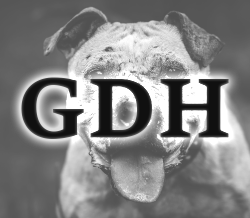 He produced many good dogs for me; CH. MIKE who beat CH. DRILLER, CH. LUKE, CH. STRIKE etc., and many other dogs that won for me. ART was the last big name dog that I owned. They were KINGFISH, ZEBO, and ART. KINGFISH was a game honest dog, his style was defensive. He would get a grip on the back of the neck or head and hold his opponent out all day. He couldn’t bite very hard, but I considered him a good dog, and I have owned a few good ones. The hardest fight I have ever seen was when CH. ZEBO went into CH. GREASER. He was owned by the Fowlers. They had secretly purchased GREASER, who was said to be the best in the country at his weight. They thought to trap Adams and Hudson’s TEX. GREASER had a much bigger reputation than ZEBO. The Fowlers were not one bit afraid of ZEBO, they were sure they were going to win. This match was originally between Dean Hudson, who was supposed to use his TEX dog. TEX was sired by BULLYSON out of Art’s MISSY. They had trouble with TEX during the keep, and had the choice of paying the forfeit or using ZEBO in TEX’s place. Now GREASER had won four matches, three of them over top dogmen. ZEBO had also won four. GREASER got his name for his ability to slip and break holds, he was a clever wrestler. Adams felt he didn’t have enough time to get ZEBO into shape, and told Hudson he would pick up in 30 minutes if ZEBO wasn’t winning. Adams said he had the sweat coming out of him in this match, as ZEBO tried and tried to get a hold and couldn’t. As GREASER was slipping and sliding, avoiding holds. Along the way ZEBO was taking a lot of punishment as he did not try to protect himself. He was a straight-ahead, hard driving dog. He had one thought in his mind, and that was to kill his opponent as quick as possible. 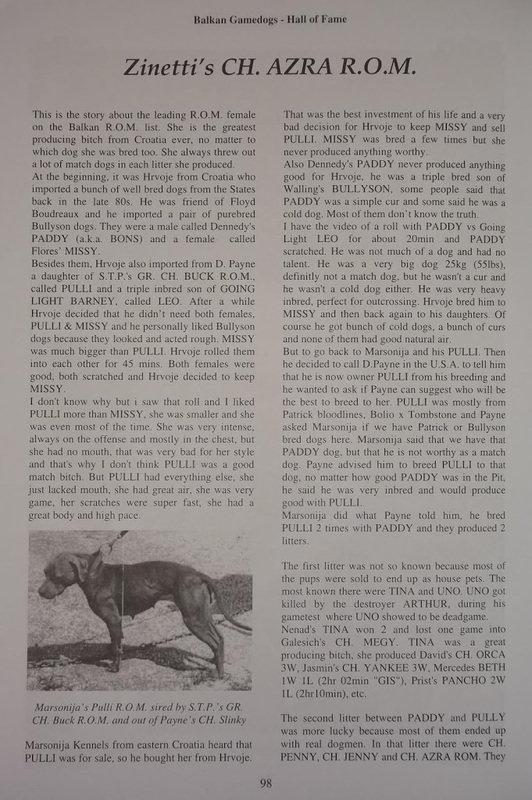 ZEBO was a straight chest dog, and any other hold he got, he would spit out. His teeth were worn down, but he was game and determined and he had his work cut out for him. They took turns being top dog. Then ZEBO’s mouth started to bring him ahead. GREASER’s chest looked as if someone had shot him with a twelve guage shotgun. He started to weaken, and ZEBO was deep in the chest, rooting. GREASER started to sag in his corner when the Fowlers conceded. They were gentlemen and they shook my hand and congratulated me and my dog.